SD Association announces new specification for the microSD Express at the Mobile World Congress. The microSD Express offers backward compatibility with legacy microSD on PCI-express and NVMe interfaces. MicroSD Express delivers an astonishing speed of 985 MB/s maximum data rate transfer on higher NVMe protocol opening a new world of opportunities for mobile devices that use microSD. Aside from backward compatibility, SD Association also releases microSD SD 7.1 specification that will be offered in various capacities including microSDHC Express, microSDXC Express, and microSDUC Express. This completes specifications for the microSD Express and SD Express. SD Association first released the SD Express 7.0 specification last June of 2018. 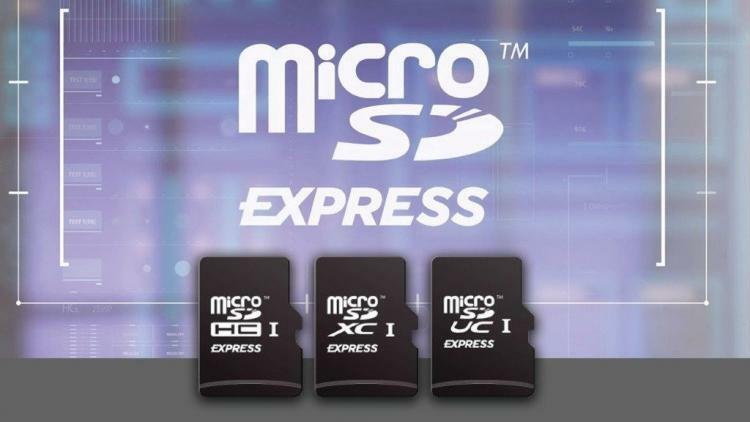 The microSD Express delivers speeds necessary to transfer large amounts of information generated by data-intense wireless communication, speed-hungry applications running on cards and mobile computing devices, ever-evolving gaming systems, multi-channel IoT devices, numerous automotive uses, higher resolution mobile videos, action cameras, 360° videos, VR and more. The microSD Express interface uses the well-known PCIe 3.1 and NVMe v1.3 specifications defined by PCI-SIG and NVM Express, respectively, on the second row of pins. PCIe 3.1 includes the low power sub-states (L1.1, L1.2) enabling low power implementations of SD Express for the mobile market. In addition, SD Express cards with significantly higher speed data transfer rates are expected to consume less energy than traditional microSD memory cards while keeping the same maximum consumed power. The cards provide system developers new options offered by PCIe and NVMe capabilities, such as Bus Mastering, Multi-Queue (without locking mechanism) and Host Memory Buffer. By relying on successful protocols already in the marketplace, the SDA gives the industry an advantage allowing utilization of existing test equipment and saving in the development process by usage of existing building blocks used in existing designs. Learn more about the SD Express and microSD Express interfaces here.